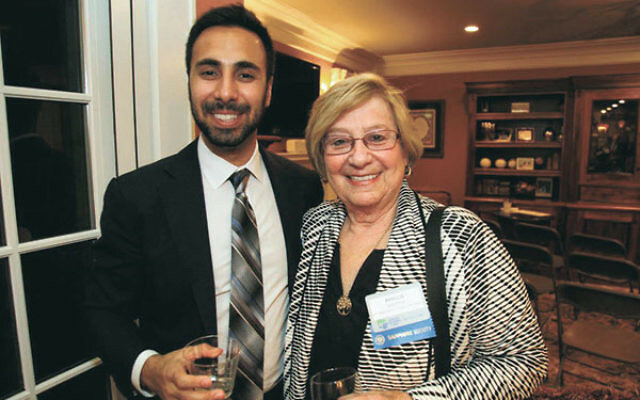 Central NJ JNF director Michael Zimmerman and lay leader Phyllis Solomon, who is serving as cochair of the JNF Spirit of Israel Tour in October, at a JNF major donor thank-you reception. Michael Zimmerman’s new job has not been too much of a stretch. 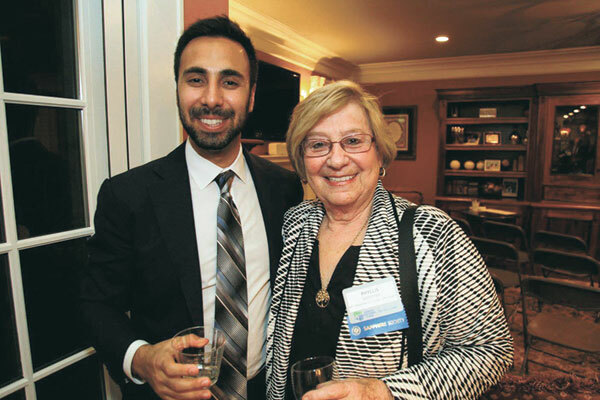 Although the Holmdel resident is just 27, he’s been running Jewish community organizations for more than a decade. Zimmerman became director of the Jewish National Fund’s Central New Jersey region, based in Florham Park, last spring. His first gig at the top of an organization chart dates back to when he was still a teen and Rabbi Laurence Malinger asked him to lead the youth group at Temple Shalom in Aberdeen. The next step on Zimmerman’s Jewish journey took him to Elon University in North Carolina. “There were few Jews in the town or on campus, where we had just 70 Jewish kids in a total enrollment of 5,000. I had some initial culture shock,” he said. When Zimmerman arrived at Elon, he joined a Hillel group that was surviving, but not thriving. By the time he graduated, a strong recovery was under way. From the get-go, Zimmerman’s professional career merged his interest in Jewish life with the degree he’d earned in international studies. His first job was in Panama, where he established the Latin American operations and offices for an electronics trading company based in Linden. He worked closely with the Jewish communities of Panama, including Syrian Jews and descendants of Sephardim who had escaped the Spanish Inquisition of 1492. In fact, he said, JNF is aptly known as the “central address for the land and people of Israel” and partners with Israeli organizations that cover every aspect of Israeli society. The Central NJ region — which covers Essex, Morris, Union, Middlesex, Monmouth, Sussex, and Warren counties and parts of other counties — holds numerous activities throughout the year, including three annual breakfasts and events for its divisions, including JNFuture for young professionals as well as its “for Israel” groups — Women, Lawyers, Rabbis, and Doctors. Zimmerman worked his way up through the ranks at the JNF region before becoming director last May. He previously served as senior campaign executive, and as leader of the Women’s Campaign, doubling women’s involvement over the past two years.